A stem cell research company has been researching a cure for a disease. They have recently put off the research because they have decided to ship a medicine that instead mitigates the disease’s effects. If you were badly hurt by something, and wanted a cure for it, how would you get that cure? I bet you’ll go to the doctor nearby and have it checked out there. Let’s suppose the doctor randomly decides he has no cure for it, but wants to mitigate the wound. How would you feel? I would feel very disappointed. I wanted the cure for my wound, but he gave something that just makes it better a little bit. A stem research company has been researching a cure for a disease, but they decide to call it off and ship a medicine that mitigates the disease. People would feel ripped off like me, and they would stop trusting the company. If they don’t have the complete cure for something, the stem company should just have the whole project called off. If a person has a very bad disease, and they want something that will fully cure it, they’ll pay up to full extent if there is no other option. Let’s say the price ranges from $950 to $2,000, and you pay the doctors and specialists that amount. Suddenly, they come back later and say that there is no full medicine or cure for the disease, but there is a medicine that will change or fix the disease a little bit. I, personally, would be fired up and angry. I didn’t just pay 1/5 my salary for a cure to my disease to doctors coming back and saying that there is no medicine for it, just some lousy pill that makes a small change. People all around the world would stop trusting that organization. Also, if the stem cell research company doesn’t have the total cure for the disease, why don’t they just have the project called off? It’s better than ripping people off and telling them they have to pay $2,000 for something that does little change, or no change at all. Let’s say if you DO accept that offer. It will still effect you, believe it or not, because the disease will cause problems for you later on. If people are relying on you for something major, why can’t you try your hardest and do that task? You’ll feel complete and accomplished, and you will get a standing ovation. If the research company doesn’t have the full medicine for the disease, they just discard that idea. As you can see, the stem organization should just scratch the task of a medicine that just mitigates the disease. People would feel that they have been tricked, and they’ll want their money back. The whole world is relying on their findings, and the company just makes a small change. If I were working in the research, I would work harder to complete the task of full recovery of the disease, and make myself heard to people all around the planet. Medicine is a ground-breaking discovery that has changed the face of the Earth today. From just the simplest medical kit from the 9th century to the MRI machines used today, there is no doubt that medicine is a hopeful to start to healing the patients of the world. If a stem cell research company was researching a cure for a disease and decide to stop the research and send out a prototype that mitigates the disease, it proves that careful steps will be taken to ensure the safety of future invalids who will consider this treatment. While finding the cure for a disease is one of the most exciting things in medical science, knowing the safety of the patient is more important and how effective it is on the disease should be one of the top priorities of the company. The most important thing that is asked about a treatment is the phrase, “Is it safe?” Family members of the patient want to be reassured and confident about the treatment that their child is taking. Just knowing that it has been tested before and has a substantial survivor rate is enough to make parents consider it. However, if a serum that has reached the medical market has not been tested in smaller doses on patients, the opinion on the treatment would be hesitant as no one would want to risk their child’s life for an untested pill. By having a medicine that mitigates a disease’s symptoms, it will be more safe. For instance, cancer is a disease that uses powerful treatments such as chemotherapy and radiation to target cancer cells. This is an option that doesn’t guarantee being completely cured and only mitigates the cancer’s effect, yet many people choose this option to cure their family members. In addition to this, by sending out a medicine that mitigates the effects to different hospitals, the scientists on the project can study the effects the medicine has on the patient’s body. This will allow them to know which stem cells they should create when making their next batch of stem cells. Also, the scientists would be able to learn more about how the disease works, such as how fast the disease progresses through the body and how the medicine prevents it from spreading. A smaller prototype like this can be used as a platform for improvement. By carefully tracking the progress of the medicine and the disease, the scientists can take logical steps toward not only improving the effect of the medicine, but saving lives as well. Furthermore, improvement is necessary to guaranteeing that the prototype created will become an accepted cure for a disease. Never in history has a perfect product been created on the first try. With the results obtained by studying the medicine, scientists can use this knowledge to figure out their next steps in improving the safety and effectiveness on the invalid. While it may take a lot of time, (stem cells take an extensive amount of labor to create) the final product will ensure that more people will be freed from their hospital beds instead of coming back again when the disease has reappeared. Moreover, the research company made a good decision to put of f the research for a cure by sending out a medicine to mitigate a disease’s effects. This is because it allows them to the the prototype’s safety,c collect date on how the disease works, and improve upon their prototype. Although one might argue that there is no time to waste saving patients nearing the end, careful actions to ensure that a medicine is safe, will save more lives than a medicine that is rashly made. Well formed essay. You make a good case and I particularly like your conclusion. It is kind of interesting that you chose to believe the company made the decision based on safety and similar concerns. The prompt does not say that. In fact, it leaves all options open. Perhaps the company did it to make money. In fact, even following the logic in your argument, I still wonder why the company has to put off the research for the cure. Why are they mutually exclusive? Are they not letting people die while they make them feel better in the last days at a very high cost to the ill? Imagine having stage 4 cancer, with little hope of survival. Surely there would be a cure through intensive research, but that is not the case. There have been many breakthroughs in medical science, so shipping a medicine meant to alleviate the pain, instead of a cure is crude. In this case if the stem cell research company decided it was better to stop the research: it would waste millions of dollars and funding, many people going through these diseases depending on cure would be devastated, and could potentially ruin the reputation of the company. The U.S government and many other campaigns have raised money for these research companies to benefit those in need. If the research did stop in stem cell research companies, it would waste valuable resources. After all, a medicine will do little to please people who are ill, so cancelling the project could put people with certain diseases in danger. It would be the equivalent to NASA and Spacex shutting down space exploration because they decided it was a waste of time. As a result, that is why stopping research on a cure, is a waste of human resources and a timewaster. There are millions who suffer with cancer throughout the world, so it is not surprising that some of the people going through this would be devastated, that the research would stop. Having all these people praising a company for their development in a cure, would give the person a great reputation for the rest of their lives. If the company fails to continue on this vow, it would be a situation of rage and despair. The chances of living through cancer is very slim at just 60 percent overall and not just cancer, but other diseases often have a low life-expectancy for the people who have them. Overall, diseases in general have an adverse effect on humans, so a discontinuation of research would leave many unhappy. Lastly, if a stem cell research company shut down research it would tarnish their reputation. This is because of both critics and the amount of effort given to find a cure. Although it might not permanently damage the company people will remember them for this. After all, just giving up will not do any good for humans, and promotes laziness rather than a good ethic. What can be concluded from this is that if companies that operate in medical or even technological fields, would be downtrodden with complaints from others, if they forget about the research and supply medicine instead. The research would also be a waste of resources and money supplied by themselves and other people would also go to waste. Lastly, stopping the research would lead to backlash and the companies would tarnish their reputation of being reliable. Many people suffer with heart disease, diabetes, high cholesterol, and etc, so it would be only be worth the money to fund these projects, if they find valuable research. In conclusion, that my opinion on what would happen if a stem cell companies abruptly end their research, if they decide to supply drugs instead. Sai, much better writing style than the examples from earlier. Now focus your message. The intro kind of bounces around and you almost lose the reader by doing that. You can discuss different details and counterpoints later, but for the intro, especially, stick to your main thesis claim and the reasons for that thesis. Laser focus. If you stick to your main idea and the supporting arguments this could be great! I hope you get the message and make the adjustment for tomorrow because if you deliver those goods, then you will be in really good shape. Good luck! Does temporarily decreasing the effects of a disease actually help in the long run. Well, using a mitigation strategy to soften the blow of the disease may temporarily relieve people of the disease-caused problems, but it won’t actually solve the problem. In addition to this, the disease could evolve, and the medicine lessening the symptoms might not even work anymore. Although, stopping the research to find a cure for the disease might be in the best interest of individuals and animals. So, would it be for the best or for the worst to stop the research? To start, selling a medicine that only lessens the symptoms of a disease wouldn’t actually solve the problem. The disease would still be in the person, and it could still kill them. In addition to this, not all medicines work for everyone. It’s possible that someone could even be allergic to one of the ingredients in the medicine. Then what would they do? The disease would still be lingering even with the medicine, and eventually the problem would become worse. Even though the medicine that mitigates the effects of the disease could help, it could also become a stalling method. Without the scientists or doctors realizing it, the medicine could stall the discovery of a cure for the disease. It would distract people temporarily from the harmful disease, and they might not realize that it was getting worse. The medicine might cover up the worsening effects of the disease, which could cause people to become oblivious to how harmful it really was. As shown, medicine used to mitigate the effects of the disease wouldn’t find a solution in the long run, and could actually make the situation worse. Next, the disease could evolve. It could change, no longer being affected by the mitigating medicine. The scientists and doctors would then have to keep on creating a new medicine. Avoiding a disease won’t help at all. Medicine can help, but it won’t cure someone with the disease. Constantly creating concoctions that may or may not work is not the best solution. Continuing the research, and eventually finding a cure would be for the best. People would be able to get rid of the disease before it evolved, and then the problem would be solved. It’s kind of like doing chores. If you avoid them, they just get worse. Or cleaning your room. The clothes will just continue to pile up, and take up space even if you shove them under your bed, or hide them at the back of a closet. If finding a cure for a disease is avoided, the consequences will just get worse, eventually becoming unbearable. Clearly, it would benefit all people to find a cure for the disease, instead of canceling the research and selling a medicine that lessens the effects, but doesn’t stop them. Thirdly, stopping the research may actually be positive. This is because sometimes animals or humans are used as test subject. Nowadays, it’s more animals than humans, but they’re still living creatures. They have feelings, and emotions, and families. Testing on them, and risking killing them may not be worth conducting research to find a cure for a disease that no one really knows about. The disease could be incurable, and innocent lives may be harmed for no reason. Although at the same time, some cures can be tested on skin cells instead of a human individual or and animal. This would be a good alternative to testing on an animal or human. Conducting the research, but not harming an animal or human in the process would be beneficial. While finding a cure for a disease, it is best to try not to harm anyone or anything in the process. It’s a basic human moral not to harm anything or anyone. As you can see, stopping the research may have been for the best, but altering certain methods for testing the cure can help tremendously. To sum up, there are both positives and negatives to stopping the research. While stopping the research could save many lives, continuing it could also solve the problem in the long run. Compared to medicines that may not be able to fully combat the effects of an evolving disease, finding a permanent solution might be able to solve the problem before it got any worse. All in all, there are both upsides and downsides to the decision of pausing the research. Imagine if someone had a life-threatening disease, such as cancer, and was about to die. There is a possibility to completely cease the effects; however, a stem cell research company decides to put off the research and ship a medicine that mitigates, or makes the disease less painful. This method does not give a permanent solution to the problem nor does it completely stop the effects of the disease. Hence, the research to cure the disease should not be stopped, even if there will be medicine to mitigate the disease. Primarily, if the medicine instead cured the disease, the stem cell research company’s research and products would benefit the people who have the disease. To illustrate, the people with the disease who have been searching for a cure for a long time would be exhilarated because they will be able to get rid of the disease with the permanent solution, or a cure. This would allow them to live without the worry that they are dying soon if the had a disease that put their life in peril, for example. Hypothetically, if the cure was expensive, people with the disease would save up to buy the cure bcause it would be less expensive in the future since the do not hve the health problems anymore. Moreover, why should the company stop their research even if they have found a medicine to mitigate the effects? This medicine should help the company because they can use the substances that mitigate to create the cure. Furthermore, the cure will help the company along with the people. If there is no known cure for this certain disease already, and the company creates one, they will gain a plethora of money. This can be seen from businesses in today’s society/ A high demand and a low supply will create more demand because the cure will save someone’s life from a life-threatening disease? Who would not want that? This will help the company if they have any financial issues and make them more well-known. The profit from the cure can, in turn, be used to research cures for other diseases. All in all, creating a cure would not only assist the company, but it is for a great cause, and assists society. Furthermore, using the medicine that mitigates the disease will not keep the satisfied. Obviously, anybody with health problems will want to mitigate the disease’s effects, but does that completely solve the issue? No. There are future generations to be concerned about as well. In conclusion, the stem research company should keep on researching for the cure to the disease. It will create a solution to the disease, not only for the people that currently have it, but for future generations as well. To continue, the profits tht will be made in comparison from the medicine to the cure will be a lot greater, which will help the company create more cures. This way, people with the disease will be exhilarated by the idea of a cure, and the company will benefit from the profits. Why would the company want to stop their world-changing cure if they can create a permanent solution to the disease? ***One of my peers mentioned the fact that an essay has an “even structure” and it should have the same number of sentences in each paragraph (she said it is supposed to be 20 sentences in all-4 each paragraph). If I don’t have “even structure” will that be a problem? I can’t really change that right now because I won’t have time to practice it (she’s doing it with her private tutor). Is my organazation good or will they take off points?? Please give feedback on my essay. Thank you so much!! Make sure you focus on the key arguments. 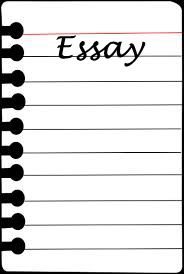 Outline them clearly in the intro and follow up in each body paragraph with clear evidence in support. You are writing a lengthy essay, which is fine except you have a time limit. I suggest you focus on necessary information only. Write as simple and straight forward as possible without getting too wordy. You do not want to get cut-off by time mid essay.